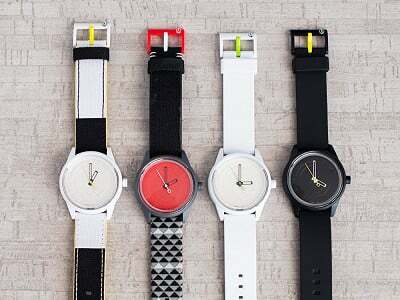 Q&Q solar powered watches run only on the sun’s powerful energy. No batteries or winding is required. The vibrantly colored, water resistant watches stay charged for more than three months with just one outing in the sun. Made by the Japanese company Quest & Quality (a division of Citizens Watch), the lightweight time-keepers are minimally designed with a modern, unisex aesthetic. The watches are even manufactured in an eco-friendly way, with casings and bands that are made with recycled materials. Available in an array of bright and sunny colors, they're as affordable as they are functional. 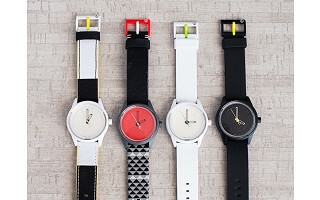 So, quick, get outside and charge up—these fun watches are sure to make the time fly. Thanks for taking a look at the Q&Q Watches. We're very excited to make these part of The Grommet's community. Feel free to drop us a note but remember - time is of the essence! Have you a version for kids now learning the time? What exact materials are the watch bands made from? I do not want to purchase a watch that contains silicone, rubber or latex. @billie You could always replace the watch band with a leather, cloth or metal band, although that would add about $20 to the cost. Can I wear this watch in a swimming pool or hot tube? hurt to get them wet, but not for use under water. but they are not recommended for diving or snorkeling. I am confused. You say there is no battery, so how are you storing the solar electricity? @john I can't say for certain, but most of the solar-powered watches that I've seen have a capacitor to store the electrical energy. Capacitors last longer than batteries, but can't store as much electrical energy as a battery hence the need to recharge after only 3 days. how long must it be exposed to the sun for a charge lasting 3 months? About 6-8 hours will give the watch power for 3 months. Chris no you have to manually set them. yes these are great designs. Q&Q solar powered watches run only on the sun’s powerful energy. No batteries or winding is required. The vibrantly colored, water resistant watches stay charged for more than three months with just one outing in the sun. Made by the Japanese company Quest & Quality (a division of Citizens Watch), the lightweight time-keepers are minimally designed with a modern, unisex aesthetic. 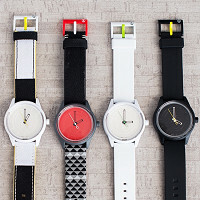 The watches are even manufactured in an eco-friendly way, with casings and bands that are made with recycled materials.